Teen anorexic Lisbeth Lewis has a choice: death (as a consequence of her overdose) or taking on the mantle of Famine, riding a black steed across the Earth, seeing the effects of hunger first-hand. Will wielding the power of Famine help her to overcome her own inner demons? I have to admit, with my busy schedule, the immediate appeal of this book was its brevity. At a mere 175 pages, it takes a very focussed look at Lisbeth's eating disorder and how it isolates her from those who love her. 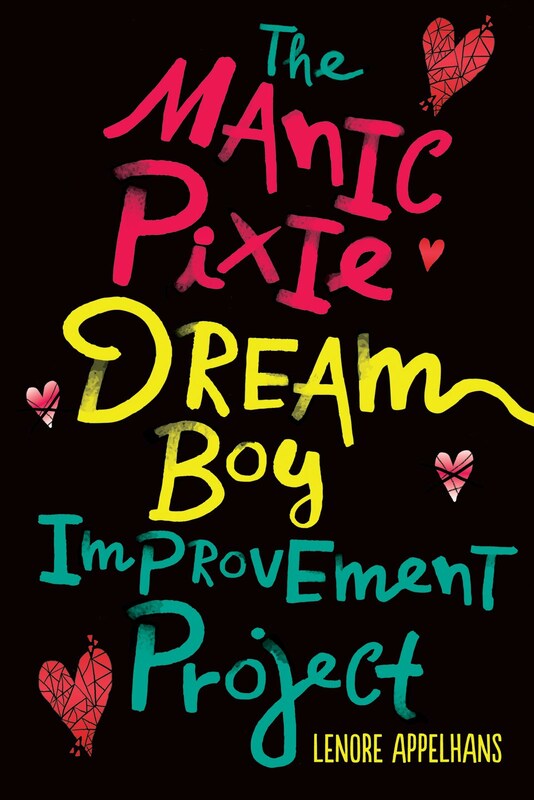 It really is an inspired way to look at eating disorders, and the author takes a magical realism approach to the plot - never really explaining the rationale of those in charge (or even who is in charge) and basing the whole experience on Lisbeth's needs rather than a grand Four Horsemen plan. This focus is definitely an argument for all the fantastical elements being figments of Lisbeth's imagination, although most will probably not read it that way. In any case, this is a riveting, affecting novel - and dang is Lisbeth's "thin voice" scary! It had me second guessing my reading snack choices (plantain chips ??? calories - don't know because I was scared to look). Today, I am also thrilled to welcome the author, Jackie, for an interview as part of the Traveling to Teens tour. HUNGER is about an anorexic teen who becomes Famine, one of the four horsemen of the apocalypse. In your version, the riders constantly change and have been around presumably since the creation of the Earth. How much of your inspiration did you take from the Bible? Did you research biblical scholarship at all? In your novel, Death looks like Kurt Cobain. If you had to choose a currently living celebrity to take over for Kurt in say 50 years, who would you choose? There’s a reason he looks like Kurt (although I didn’t know it at the time I created the character). Who’s to say that Death will still look like Kurt by the end of the fourth book in The Riders’ Quartet? **grin** Stay tuned. I was recently awarded Best Author Interviews during Book Blogger Appreciation Week 2010, so I am feeling the pressure. What is the best question you’ve ever been asked? Hey, congratulations! Ooh, the best question? Ever? Well then. This goes waaaaaaaaaaaaaay back to 1995, when I was single. Loving Husband To Be and I had just chaperoned a youth group dance, and we and a bunch of our friends went out for dinner after. We exchanged phone numbers. The next day, I called him and asked for his email address. He asked me, “Why do you want my email address?” And I replied, deadpan, “To send you email.” **grin** Or was that not what you meant? Ooh! I do want to hear that story, someday. You also mention that you have a bachelor’s degree in English and American Literature. What American classic is ripe for one of the paranormal mash-ups that are so popular these days? I’m waiting for The Old Man And The Sea Serpent, in which the fisherman Santiago encounters Cthulhu. Hilarity ensues. 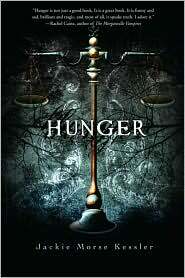 HUNGER is available now in paperback. Find out more on Jackie's website. What a fun interview! I love her reply to the best question she's ever been asked. I wasn't sure whether or not the fantastical elements were in Lisa's imagination, either. The thought did occur to me as I was reading, though. Fascinating! I mean, I actually read the interview and I rarely do that. Kurt Cobain as Death, hmmm, how utterly creative. Also I am with you on brevity being appealing right now! Fun interview. I'm waiting for that Old Man and the Sea spin-off. Now to check out the book Hunger. Nice interview Lenore! I also think that this book sounds really original and like something I'd really like to read. I am going to have to be sure to grab this one when I can. Thanks for the great review as well! I liked this one as well. I'm looking forward to reading Rage next. I'm glad that @netgalley is offering it up so I can get to it sooner than later.